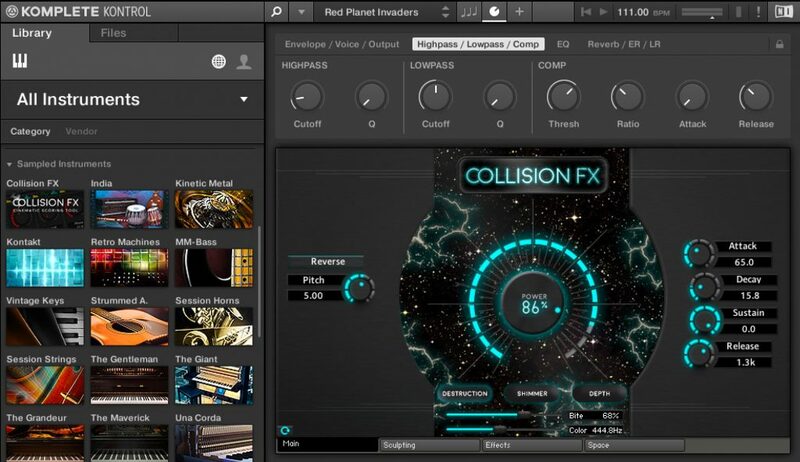 The heart of Collision FX is built on a sonic foundation of cinematic sources, Impacts risers, transitions, strikes, drones and tones, all meticulously designed and curated to empower composers, musicians, DJ’s and sound designers with unmatched audacity for creating and shaping breathtaking cinematic dynamics. 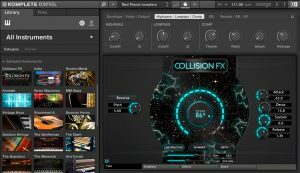 With 3100+ audiophile quality cinematics, sound effects and instrument samples at 96k/24bit resolution, Collision FX delivers the power to capture and create an intense collage of sounds that make your music and audio productions truly unique. 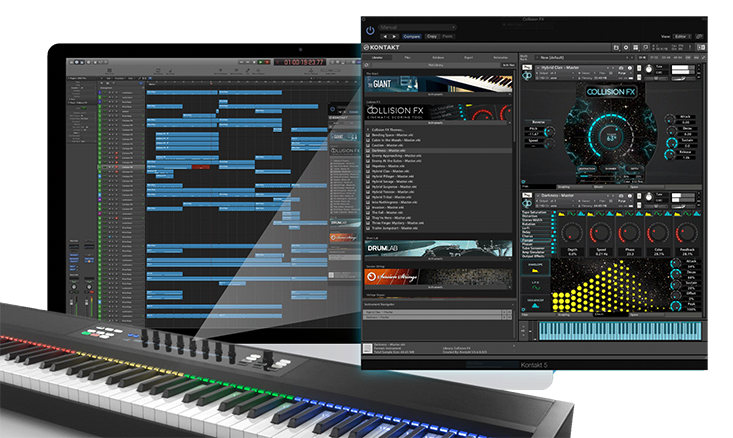 Because Collision FX is an NKS-ready plug-in, and derived from Sound Yeti’s popular, battle tested cinematic sound effects collections; Bane Cinematics, Blockbuster Trailer and Asylum, it’s set up and ready to make use of the production empowering Smart Play features in the KOMPLETE KONTROL and MASCHINE software – including touch strips, scale mapping, chord sets, and the powerful arpeggiator. 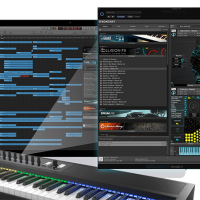 Collision FX and NKS enable you to perform cinematic elements with your KOMPLETE and MASCHINE hardware like never before. 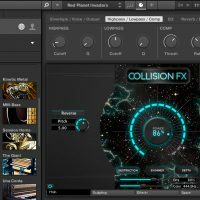 With a single click, add swank and brazen boldness to epic elements with Collision FX’s instant sidechain power mods on the main display. Destruction, Shimmer and Depth, the first level of Collision’s custom crafted controls that give composers and designers instantaneous power over expression, timbre, res filter and low end dynamics. Modify the sidechain input envelope with ADSR controls at hand and gain instant access to modify pitch and reverse waveform direction all from the main tab. Simply dial in the amount of effect to apply and you’ll be creating vastly different sounds as you go. Capturing a cinematic mixing style can be challenging particularly when faced with precisely scoring impacts, hits, sweeps, risers and transitions. 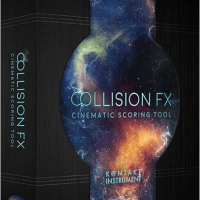 Collision FX allows you to conveniently slot your Collision FX sounds and cinematics into your mix in real-time using the Sculpting Desk that includes ready onboard 4 band parametric EQ. Totally proprietary linear envelope generators deliver precise control over how effect parameters interact with samples. The custom LFO, also assignable to any effect parameter, features multiple wave shapes including random, and inversion (polarity). For the adventurous, Step Sequencer modulation assigned to multiple effect parameters creates unique and unpredictable interactions of epic cinematic proportion! 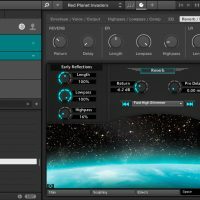 Quickly add spatial dimension, ambience and sonic secret sauce to your creations with custom convolution impulse response reverbs, 190 of them! These exceptional reverbs take you on a journey of dimensions beyond basic auditoriums and rooms, the convolution reverbs contained in Collision FX are powerful for creating spatial and ambient overtones with Collision’s unique sample bank. 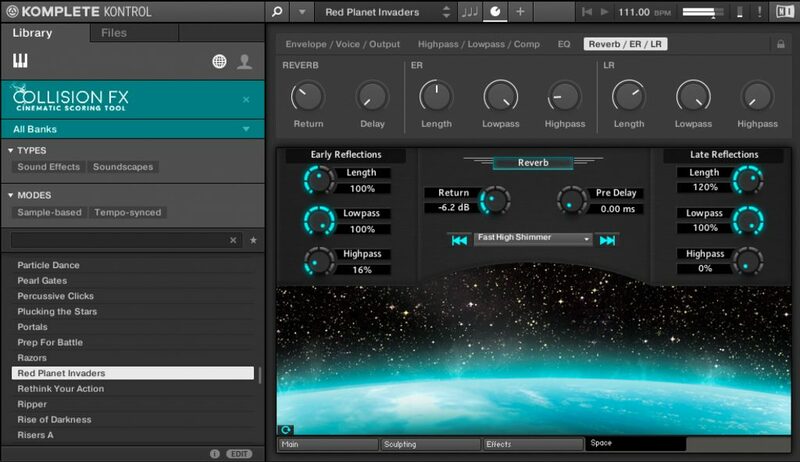 Every reverb effect is precisely controlled by modifying standard early reflection and late reflection parameters. What is NKS? Now you can eliminate the hassle and tedious trouble of configuring control surfaces! 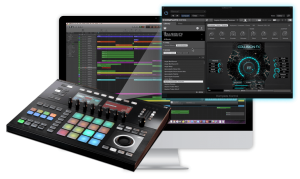 With Collision FX and NKS-ready devices you gain instant expression and real time control over parameters that bring a custom experience to every performance. Instantly selecting Collision FX software presets and shaping sounds directly from the surface of your favorite NKS-ready hardware accelerates your creativity and speeds up your production. 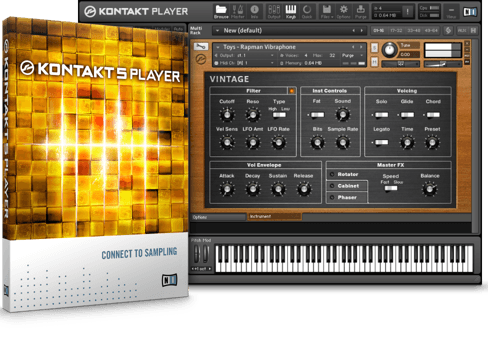 Compatible with the Free Kontakt Player! 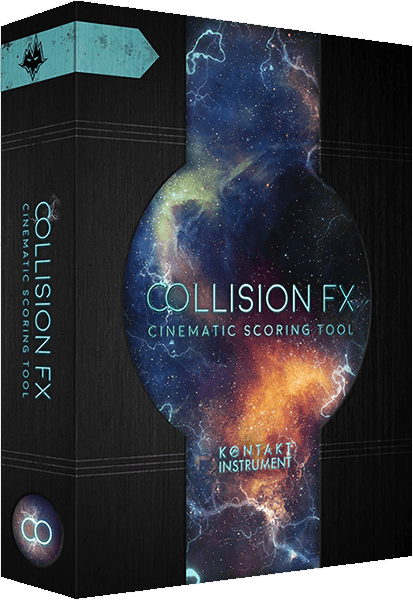 Collision FX is compatible with the free Kontakt Player so you don’t need the full version of Kontakt. 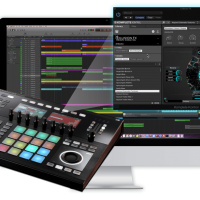 It works with the FREE Kontakt Player and the full version of Kontakt if you have it. 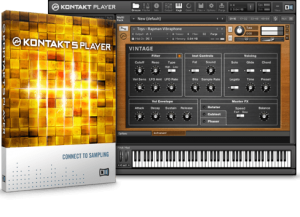 Click here to download Kontakt Player for free. 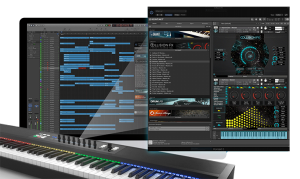 "There are some rich and powerful sounds possible with this instrument and it seems particularly suited for scoring trailers and action sequences. It is well worth the current price in my opinion." "This Kontakt library provides endless inspiration for starting tracks or to just add that sprinkling of fairy dust to bring a track together. If you haven’t got this library then what are you waiting for … buy it."